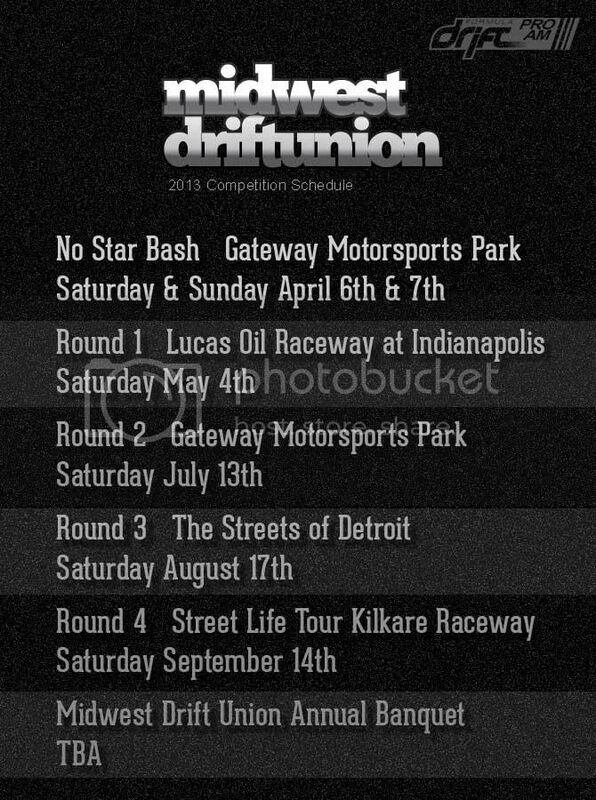 For all you cool cats who want a shot at going pro like me here's MDU's drift schedule for 2013. Only rounds 1-4 count towards the series. No Star Bash is more of a come out and have fun let's get this year started off right sort of thing. Hope to see some fellow members out there. Angle Junkies and friends will be at all the events...well idk about All Star Bash, but other then that we will be at them all.